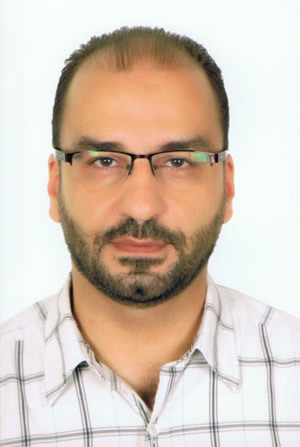 Dr. Hassan M. Khachfe is a Professor in the Departments of Biological Sciences, Biomedical Sciences, and Biomedical Engineering at the Lebanese International University. He currently is the Academic Director and the Chair of the Nabatieh Campus Council, and the Chair or the University’s Institutional Review Board (IRB). Prof. Khachfe earned a B.S. degree in Physics (AUB, 1993), a M.Sc. in Polymer Chemistry (WSU, 1996), and a Ph.D. in Biophysics and Molecular Medicine (Boston University School of Medicine, 2002). Prof. Khachfe runs multidisciplinary research projects and supervises two interdisciplinary research groups. The Lebanese Institute for Biomedical Research and Application (LIBRA) is a research group that deals mainly with the structural determination and characterization of macromolecular assemblies, the analysis of complex signals, and the design of MEMS and NEMS for biomedical applications. Current projects focus on the enhancement of human life through understanding the molecular details of the disease-causing plasma apolipoproteins, particularly Apo B100 of the low density lipoprotein (LDL), on finding novel approaches for the decontamination and lengthy storage of foods, on investigating the effect of body fat on the recording of ECG signals, on the analysis of ERP of complex EEG signals. Prof. Khachfe also heads the Business, Educational, and Medical Optimization REsearch (BE-MORE) group, which explores the design and implementation of automated quality management, control, assurance, and busines systems for healthcare and educational institutions. Prof. Khachfe served as the Director of the Computational Sciences and Bioinformatics Unit at the American University of Beirut, and the head of LIU’s task force for QC&A, and later the University’s Director of the Center for Quality Assurance, Institutional Assessment and Scientific Research (QAIASR). Besides being a national (Lebanese Ministry of Education and Higher Education) and international (Association of Arab Universities) accredited auditor of higher education programs, Prof. Khachfe is an IARIA Fellow, a co-founder and current Vice President of the Lebanese Society for BioMedical Engineering, author of many research articles and specialty books, and a reviewer and editorial board member in several scientific journals.